See video of the event here. On behalf of the Institute for International Economic Policy, GWU, and the International Tax and Investment Center, you are cordially invited to the 2nd Annual Frenzel Memorial Lecture on Tax and Trade on October 6, 2016. The event is named in honor of Bill Frenzel, the founding Chairman of the ITIC and 10-term U.S. House of Representatives Member. Frenzel, who passed away in 2014, is best known for having been a leading authority on tax and trade issues in Congress. 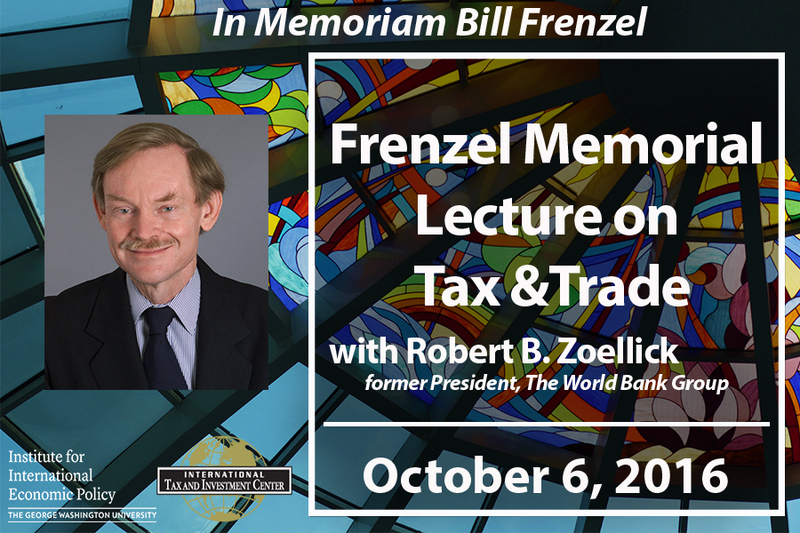 The Frenzel Memorial Lecture will feature the Honorable Robert B. Zoellick, former World Bank President.